Always say no to drugs. It's a ghastly substance only for mugs. Try to envision a spaz. Who has no pizzazz. And munches on beetles and bugs. Ugly, isn't it? 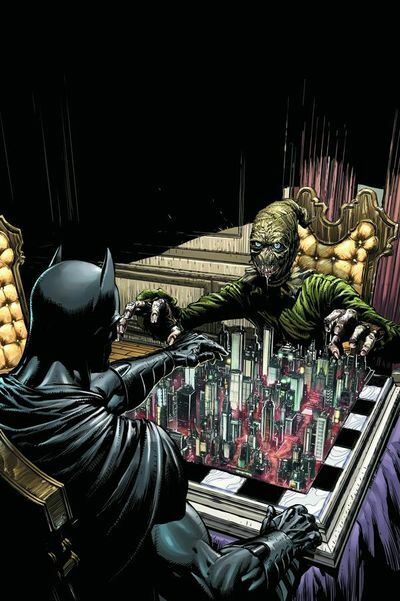 Plus doesn't have absolutely anything to do with the smashing creative team of Writer: Gregg Hurwitz; Artist: David Finch; and Publisher: DC Comics in January 2013. Gauging from one of the Scarecrows past victims -- called Luz -- pertinent information relating to this case. Now if you have guessed correctly, dear reader, you win the honor of seeing Bruce upsetting his ally, Alfred Pennyworth, plus taking his girlfriend, Natalya, out on a date. At the vinegar-strokes of the story, I liked it when Damien said to Bruce 'If you don't go, I will', in relation to how Bruce upset Alfred with his nonchalant attitude towards him saving his life. Well, Bruce's flippant remark of 'I don't know what you were so worried about, Alfred' had to be abated somehow, huh? With my movie hat on, I felt that there was a definite 'John Frankenheimer' vibe running through this yarn; especially how the frantic pace started and stopped accordingly. Also, I loved the final resolution to this tale too. It was nice that the Scarecrow wasn't able to put up much of a fight, plus to see a scene with Bruce and Natalya making amends. Now I'm not entirely sure if this was just a 'me thing', but I did find David Finch's art a bit murky and rushed in places. Not greatly. Agreed. By in large he was up to his usual high standard. But there was a less defined aspect about his pencil's than before. Subdued even. What was the most INNOVATIVE thing about this issue? There was a double page spread in this issue which just blew my mind away as soon as I saw it. It's the one where Batman laid dying in his Bat-plane, whilst his blood oozed out of the side, thus saving the city. Not only was this image very innovative from a creative point of view, but there was a nice touch of pathos in it as well. ALFRED: Still sticking to this month's plant-based casting-call theme, dear reader, and with the vision to cast this Bat-butler as a carrot. Yes. I said a 'carrot'. A very versatile vegetable don't you know. And always a welcome addition to any mass ensemble. 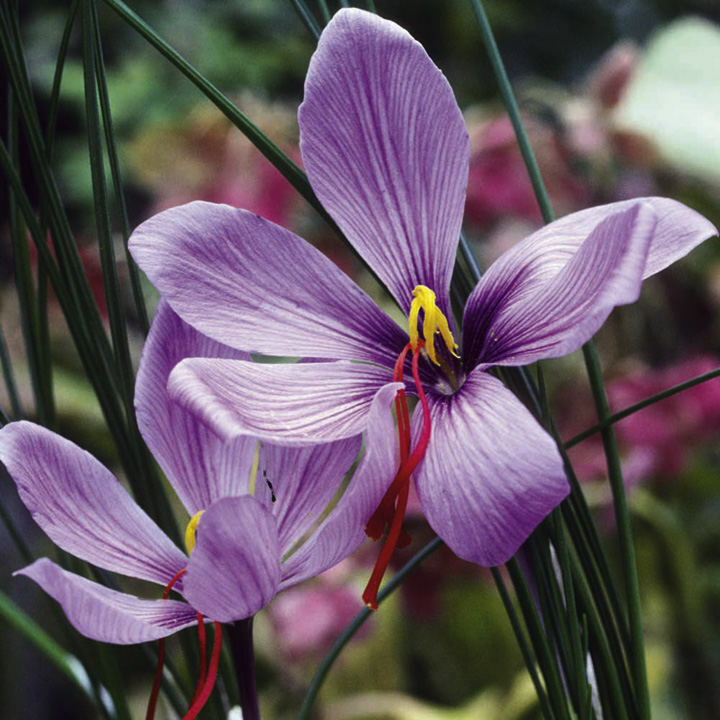 NATALYA: Did you know that 'Crocuses' are known to be grown in the Ukraine? Beautiful, aren't they? Beautiful and always ready to be plucked. No. I said 'plucked'. Unlike Bruce's current musical beaux. What WORD or PHRASE could you use to sum-up this story? Conceptually this comic book had a start / stop quality about it: As if a drummer was pounding away one minute, and decided to have a bit of a break the next. Therefore, why not compare it to a drum solo performed by the man with the sticks, Buddie Rich. Here, check out this clip, and tell me that he does not need a bit of break. Now that's what I call an ending to a story. The scenes were well composed, POW! The art was fairly on form, SPLAT! And the dramatic tension within, transformed this tale from a good tale, to a smashing tale, KA-BAM! Since Gregg Hurwitz jumped on board this title, he's managed to do three things in hindsight. Firstly, pay some respect to the Batman mythos -- which is always nice. Secondly, create something new from something old -- which is what this new 52 is all about. And thirdly, define who Bruce Wayne is through the eyes of other people -- like the Scarecrow, Alfred, or Natalya. Oh! While I'm on the subject of this pretty Ukrainian pianist, isn't she just a great addition to 'The Dark Knight'? Personally speaking, I like how she doesn't take 'any sh*t' from Bruce, like his previous girl-pals have. Plus I do like enjoy her stoic yet well mannered take on life too. What are your opinions on her, dear reader? Drop me a spam, and I'll drop you some eggs.